Located at 10 Lutterworth Road, , we are ideally based to serve the local Aylestone & surrounding communities, undertaking all types of car garage services, from Car Servicing to MOTs. 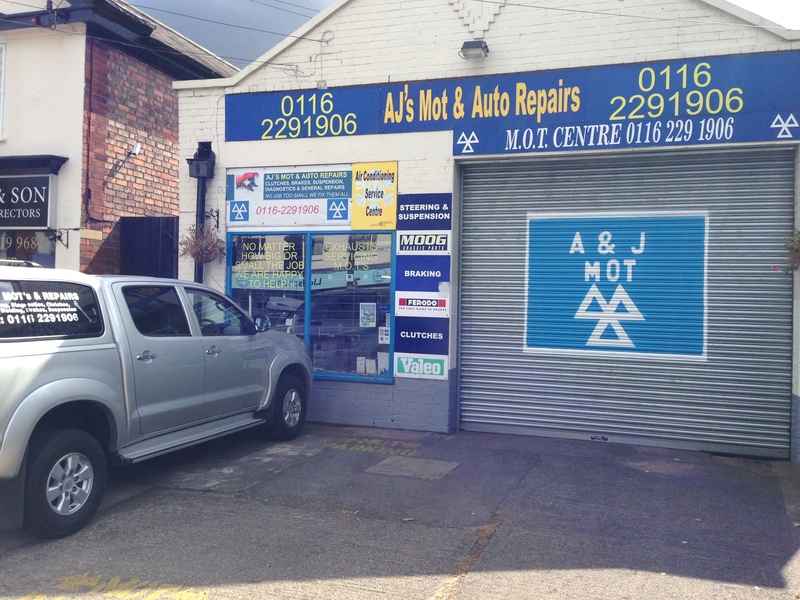 If your looking for a reliable garage in Aylestone, Look no further than A&J Mots & Auto repairs Ltd, specialists in a wide range of garage services including MOT, Car Repairs, Engine Diagnostics, & much more. Why Choose A&J Mot & Auto Repairs Ltd? We have worked hard to build to a reputation for offering a trusted and "value for money" service to all our customers in and around Aylestone, we understand the importance of good customer service, With the majority of our work gained through word of mouth and repeat custom. Our car mechanics are fully qualified and experienced in working with most types of vehicles, completing all work to the highest of standards at a very competitive price. Our mechanics are on hand to offer free, valuable advice on Car Servicing, MOT, and Tyres, and are happy to answer any questions you may have regarding your vehicle. When working on your car, we will clearly explain all the options available to you, along with our personal recommendations. At A&J MOT & Auto Repairs Ltd, we always offer a quote upfront and always make sure we obtain your approval prior to any work being carried out. We offer a wide range of services including, Servicing, Brakes, Clutches, Tyres, Batteries, Suspension, Diagnostics, Exhausts, Welding, Air-Con, MOT`s & MOT Repairs, Timing Belts, Engine Repairs and much more for Petrol and Diesel Vehicles on most makes and models. We Give a full 12 months Guarantee with all new parts supplied & fitted.